Goodwell, Okla. — Oklahoma Panhandle State University senior John Paul Kain earned second-high individual honors at the regional crops judging contest in Curtis, Neb. at the Nebraska College of Technical Agriculture (NCTA) on Friday, March 8, 2019. Kain led the Panhandle State Crops Judging team to a fourth place finish. Kain, a McCook, Neb. native, was joined by team members Ross Brown of Ulysses, Kan., Allison Jones of Ulysses, Kan., and Kierra Smart of McClave, Colo. Together the group accumulated nearly 1400 points to finish over 200 points ahead of the next closest team. A total of nine universities competed in the contest. Panhandle State students Coleman Sintas, Sarah Wood, and Cassidy Tolle also traveled with the team and competed individually. Ag Instructor Daren Stephens accompanied the group as the Assistant Coach. Both two-year colleges and four-year universities attended the event at NCTA. In the four-year division, Kansas State University won, followed by the University of Nebraska- Lincoln, and Iowa State finished third. 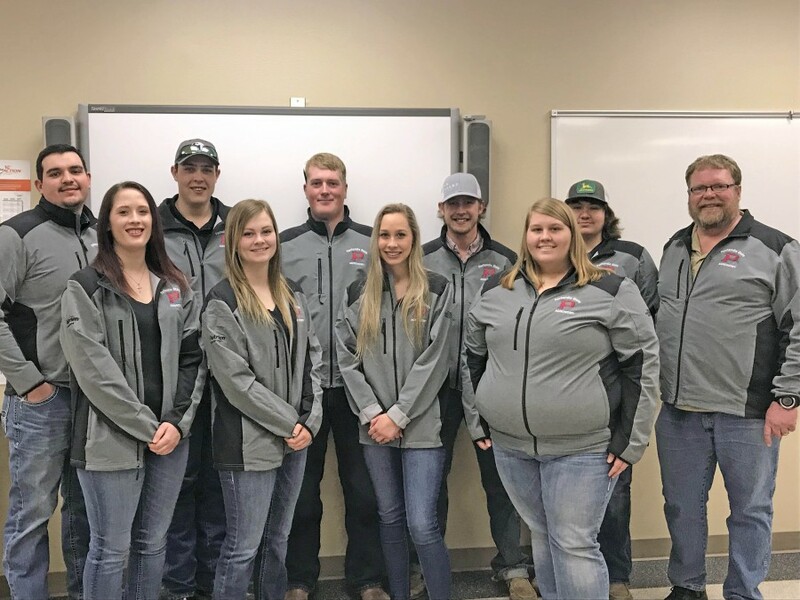 The team collected another fourth place finish earlier in the semester at the southern regional crops judging contest in Kansas at Hutchinson Community College on February 9th. Kain was the fourth high individual at the competition. The crops judging competition is an intensive examination of agronomic skills and knowledge designed around the American Society of Agronomy (ASA) Certified Crop Adviser (CCA) program. The contest consists of four sections: laboratory practical, agronomic exam, math practical and plant and seed identification. In the laboratory practical, competitors identify insects, diseases, equipment, and crop products, plus determine crop growth stages, interpret pesticide labels or seed tags, name plant structures, identify nutrient deficiencies, and evaluate various crop production problems. The agronomic exam evaluated knowledge of crop production and management, crop physiology and breeding, soil properties, soil fertility, tillage, crop harvesting and storage, weeds, insects and diseases. The math practical included equipment calibration, pesticide application and other mathematical calculations. Seed and plant identification requires contestants to identify over 150 plant and seed specimens. The team is set to compete at the North American Colleges and Teachers of Agriculture (NACTA) Judging Conference on Saturday, April 13, 2019 at Murray State University in Murray, Ky. In addition to the Crops Judging contest, the group will also compete in the Knowledge Bowl and the Precision Agriculture Contest. The trip will also allow the students the opportunity to visit Bayer (Monsanto) headquarters in St. Louis as well as work out at the Kansas State University Agronomy Lab.